What’s a woman to do if her life is not taking shape the way that she thought that it would? What happens when she looks at herself in the mirror, lingering a little longer than usual, and realizes that she no longer recognizes the person staring back at her? What does she do when she sees that, somehow, her life has drifted away from all her original hopes, dreams, or plans? I have been that woman. I wrote this book because I, too, know what it is to wander from the life that I was meant to live. 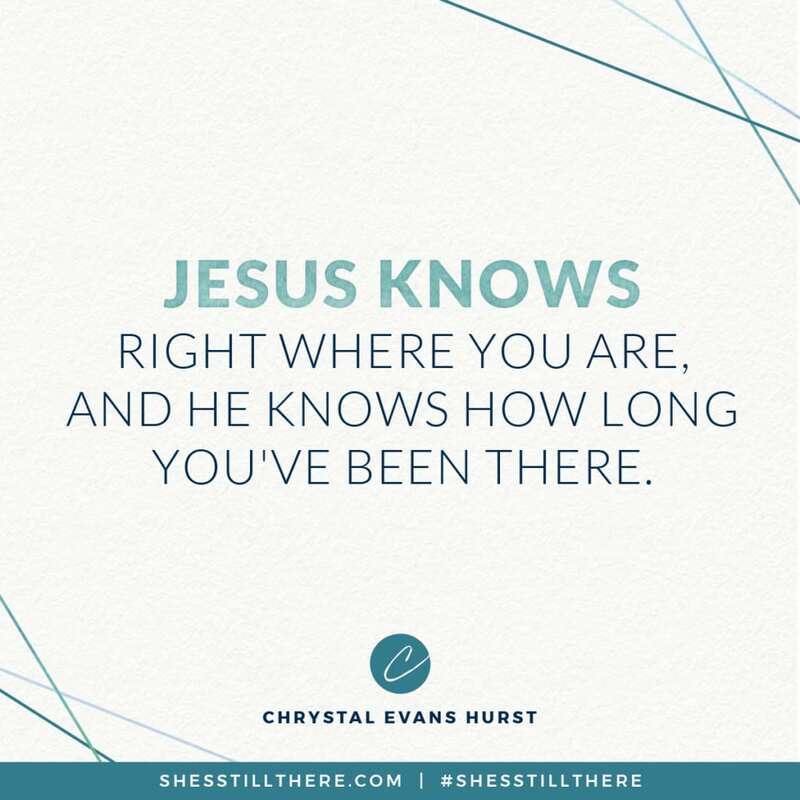 But I’ve learned some things about how to find my way back — and I want to encourage you. Sometimes we simply need someone to hold our hand, cheer us on, and believe we are still capable of being who we intended to be. 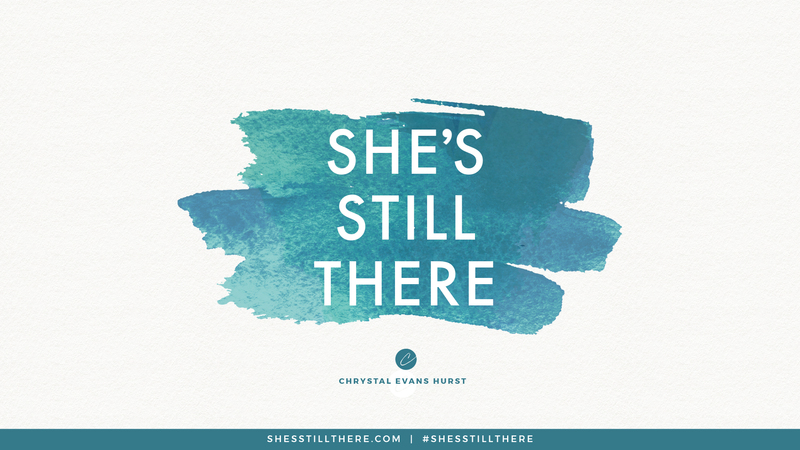 In She’s Still There, I authentically share, from one girlfriend to another, the importance of the personal process and the beauty of that path. It’s a book of “me toos,” reminders of the hoped for, and challenges for the path ahead—to find direction, purpose, and true satisfaction. 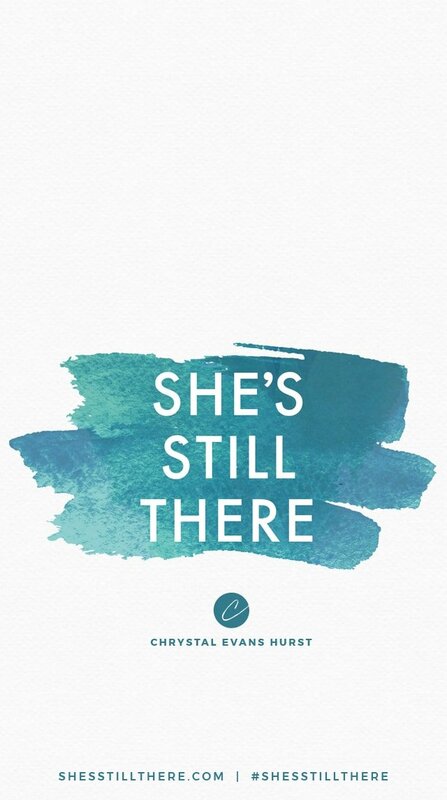 We celebrate the release of our daughter’s book, She’s Still There. 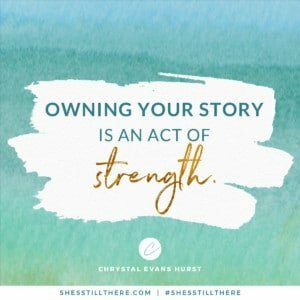 With uncanny honesty, vulnerability, and spiritual insight, Chrystal will lead you on an exciting journey to rescue the girl in you. 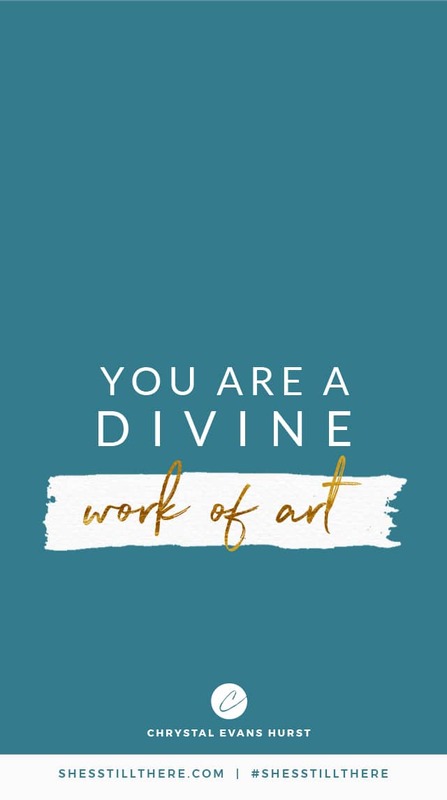 This groundbreaking work will reconnect you to the joyful and, yes, sometimes tearful discovery of the person God created you to be. 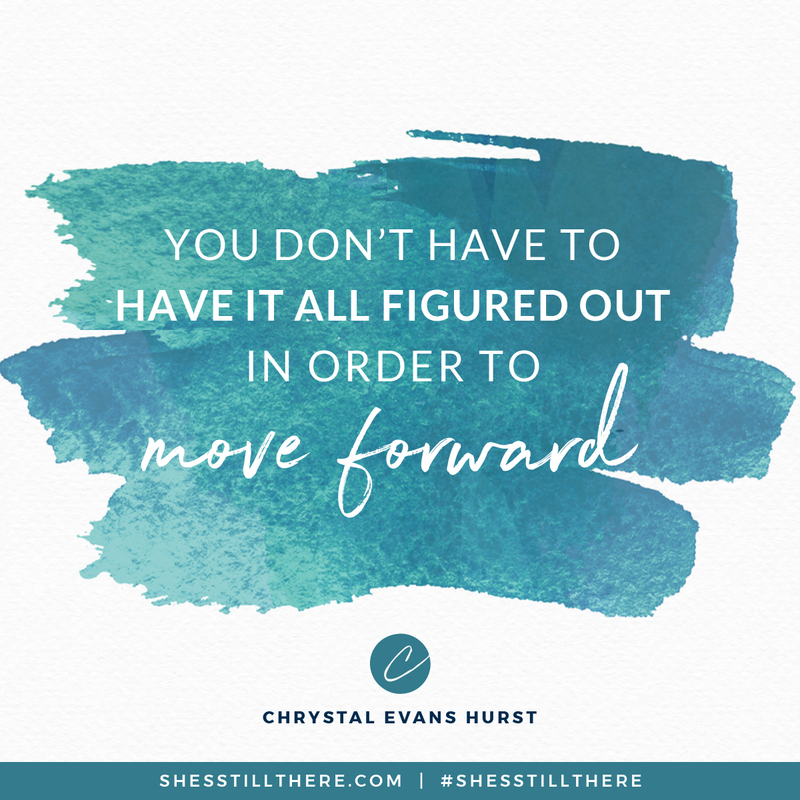 My witty and wise friend Chrystal will help you rediscover your lost dreams and uncover a renewed passion for moving forward. 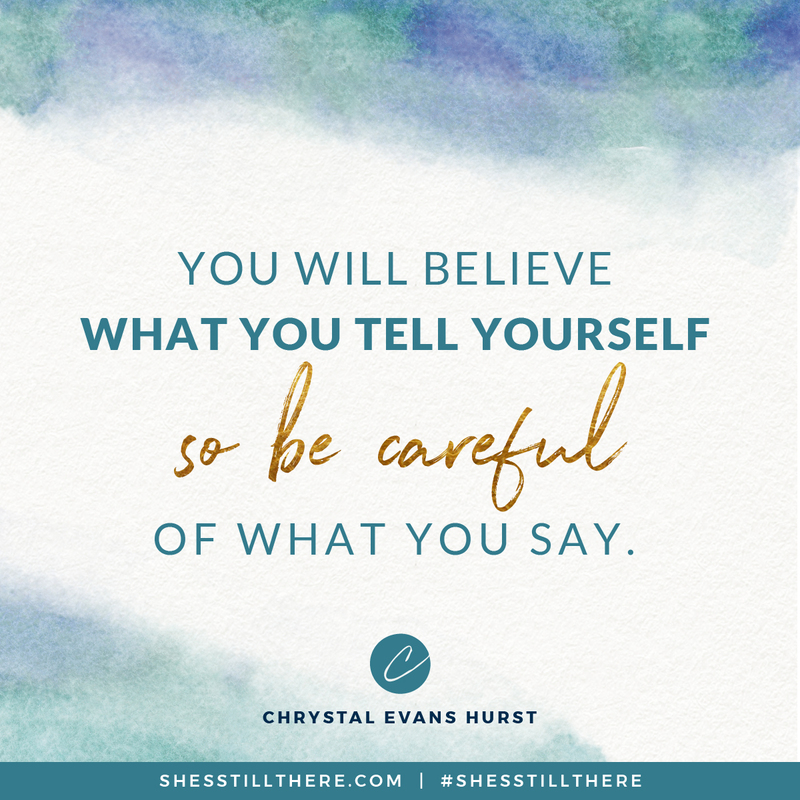 She knows what you’re feeling, but even better, she reveals the decisions you can make to get back on track. A woman’s resurrection journey is an important and powerful conversation to have, even for a husband and wife. 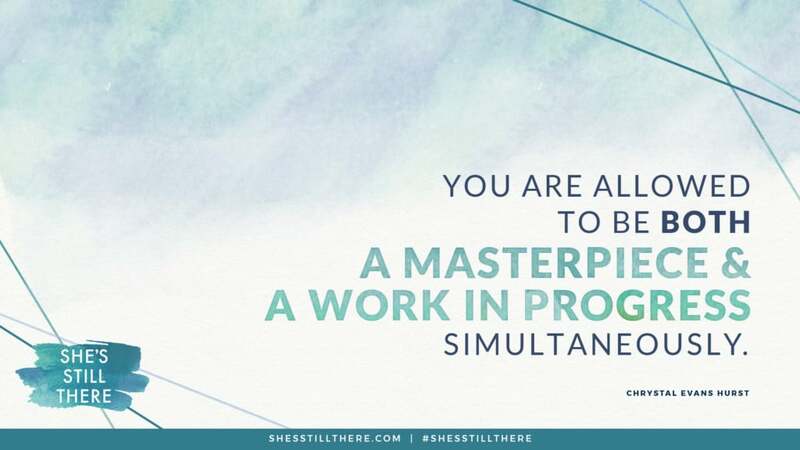 She’s Still There is a tool to aid every woman in cultivating her dreams, reigniting her passions, and reviving her heart. 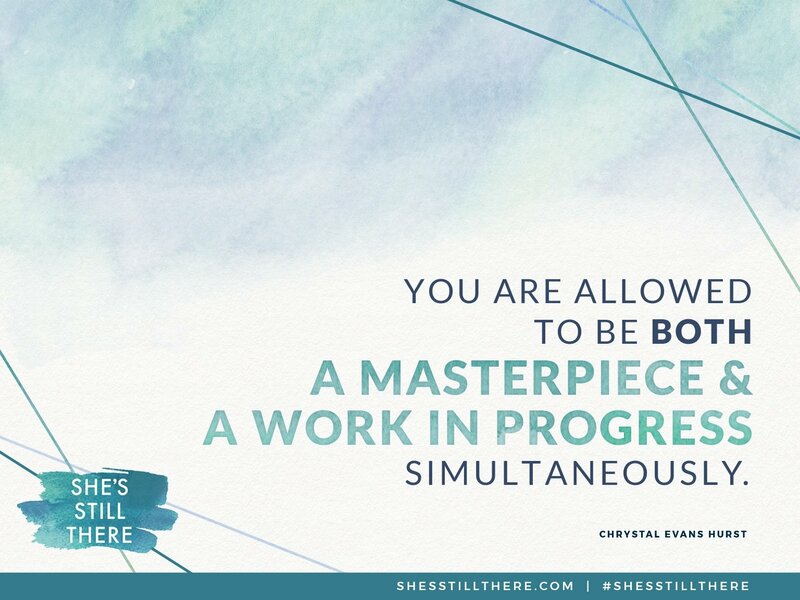 Chrystal’s message breathes life into the girl who needs a fresh start. A renewed sense of hope and purpose is just a page away. 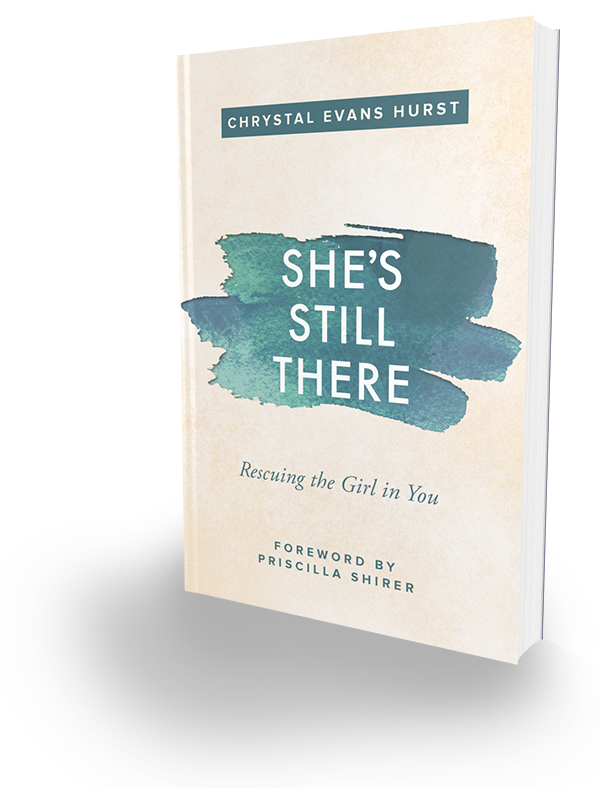 If you’re a woman who’s felt lost, buried, overlooked, or unsure of her identity, this book is written for you. 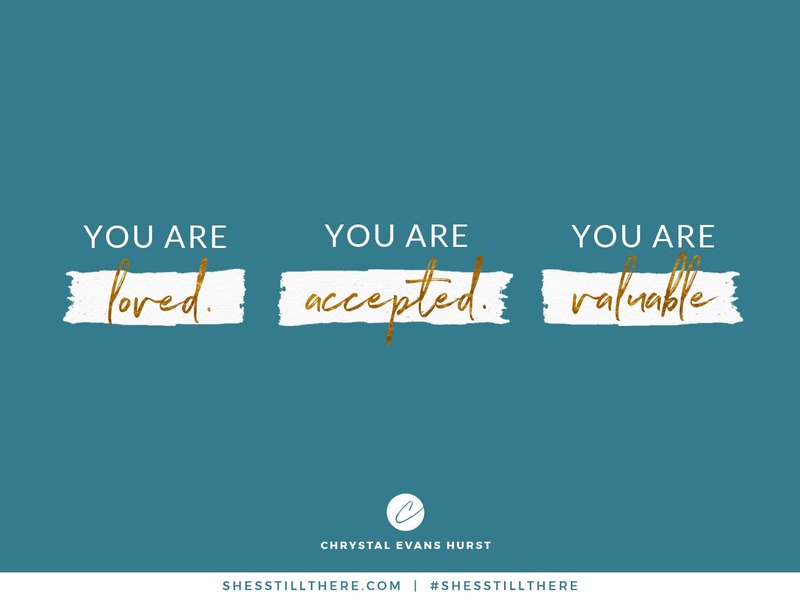 While it can be hard to own the rocky parts of your story, She’s Still There encourages you to believe that you are a soul uniquely designed by God for a purpose, and gives you the tools you need to rescue the best of the girl in you. 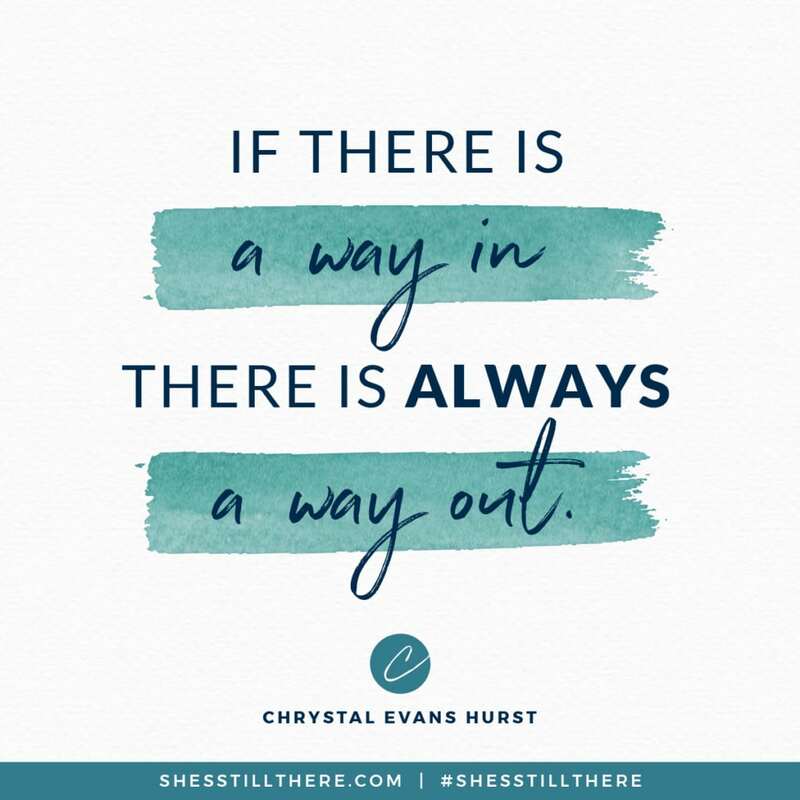 She’s Still There will help women get out the box of fear and shame and walk in their God given freedom!!! 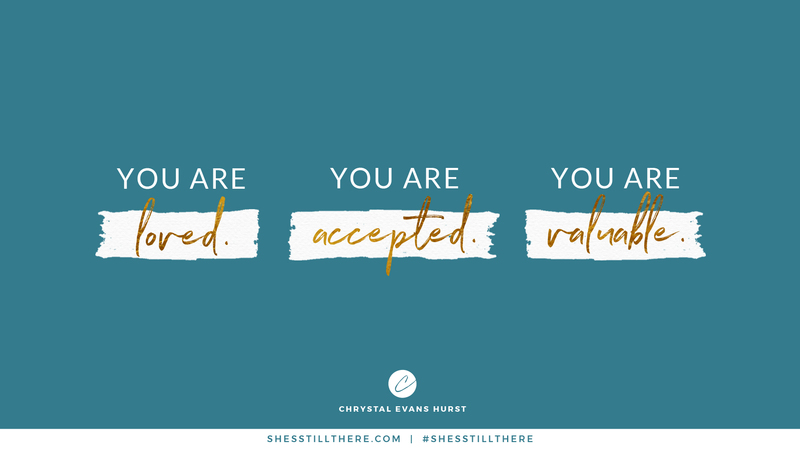 This is a bold, honest, and life-changing book! Chrystal is a fierce lover of God and people. Courage and empathy pour out of this woman- prepare to be loved and challenged in these words. Everything that girl you once were ever dreamed of, prayed for, imagined about? That girl? She’s still there. 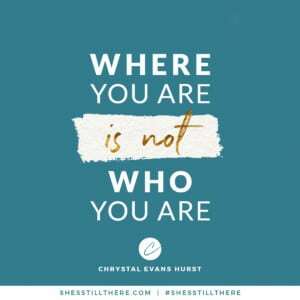 Chrystal Hurst’s words are like a healing balm, a strengthening iron and an envisioning hope. She is one wise guide, gentle counsellor, and needed friend in your journey to find your way back to what you once hoped. Your soul is begging you to begin. Have you ever met one of those women who made you feel like a friend you could never let go of from the moment you meet? That’s what happened when I met Chrystal and that’s what will happen to you the moment you crack open this book. 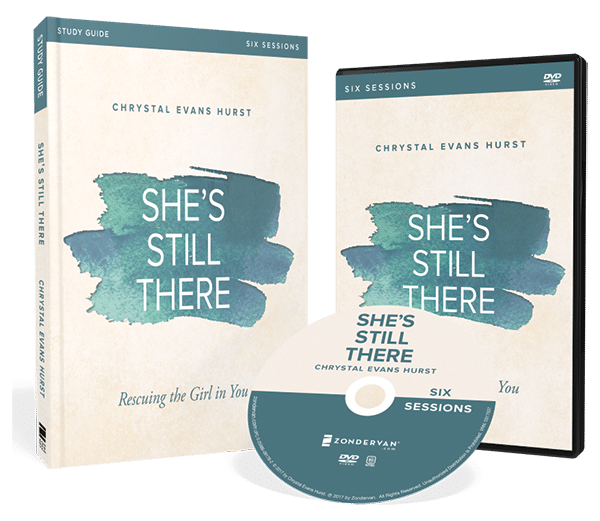 Prepare to be comforted and transformed by a woman who embodies the love of God. Surprisingly poignant. Startlingly transparent. Stunningly insightful. Chrystal touched me deeply as I read her milestone book, which is destined to set women free on a deep and meaningful level. Rarely have I read a book so down-to-earth with such heavenly wisdom. Don’t miss this amazing book! 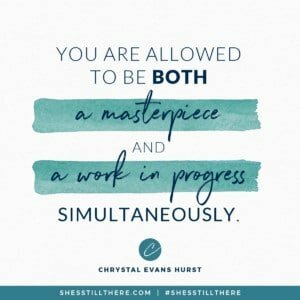 As I devoured Chrystal’s words, I felt as though she was sitting across from me at a coffee shop. She’s the friend we all want. 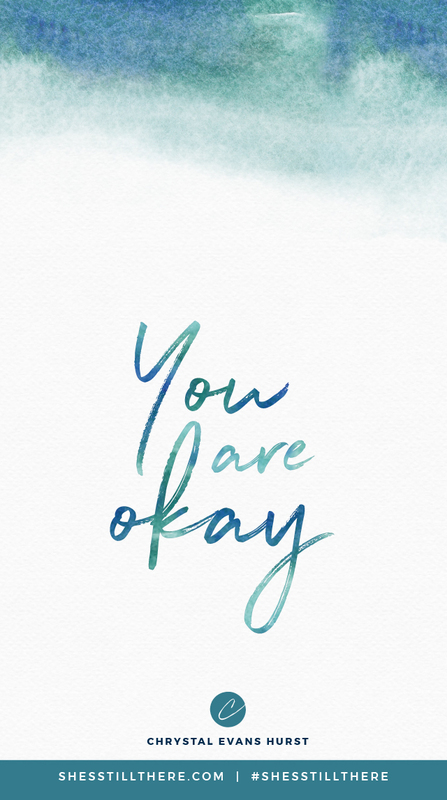 The friend that is real and vulnerable with you, and constantly points you to the truth. If you are a woman, this book needs to be in your hands! 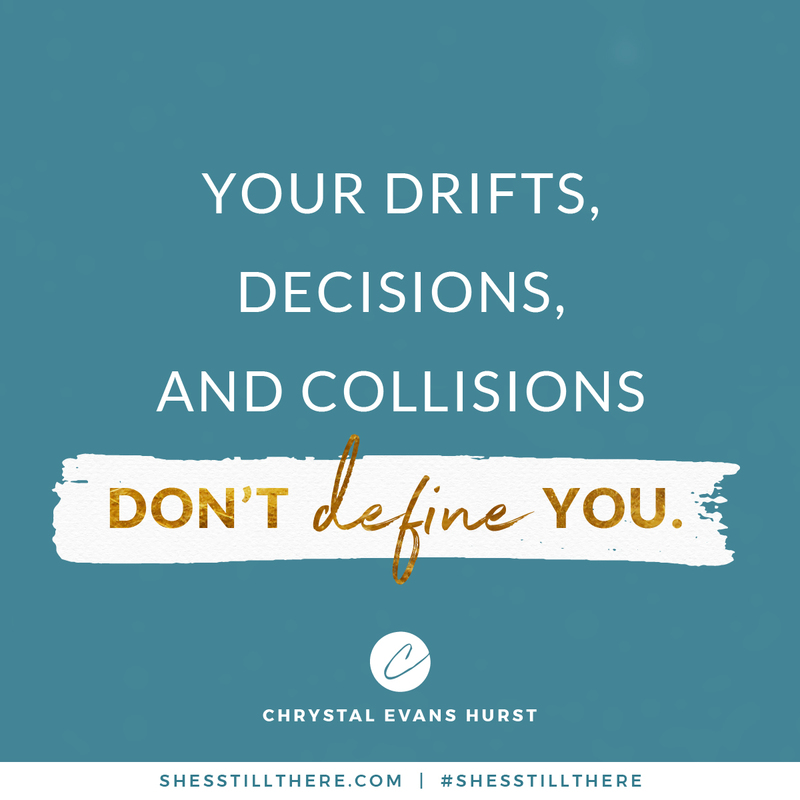 Chrystal is honest, hilarious, and full of encouragement for any of us who have looked up and realized life hasn’t gone exactly the way we planned. And isn’t that all of us? She’s Still There is refreshing in its transparency and encouraging in its authenticity. You will find yourself sighing with relief, wiping away a few tears, and turning the final page knowing how much you are loved. 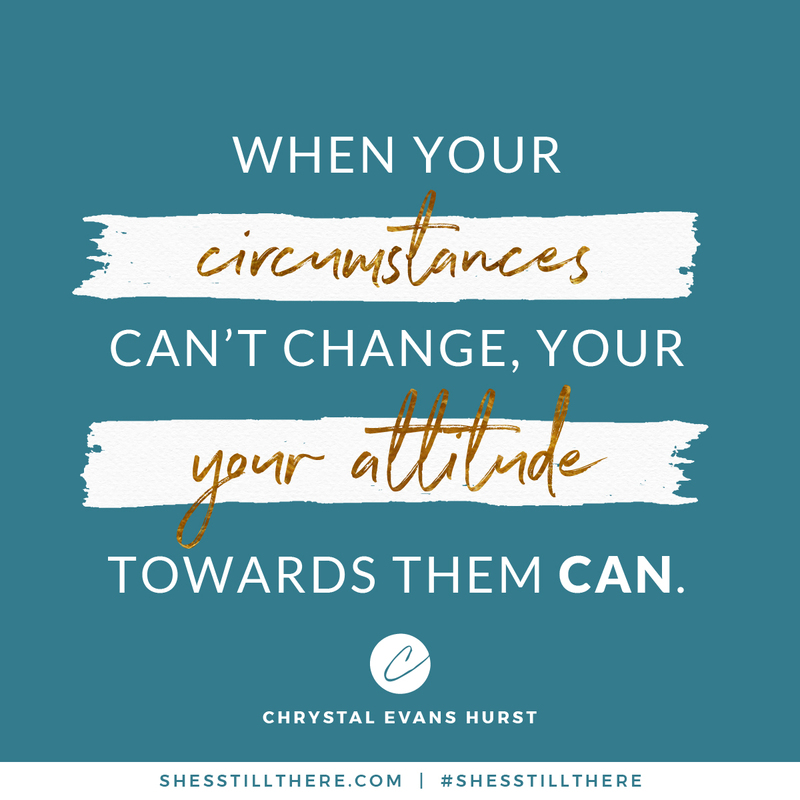 Chrystal writes with the passion and wisdom of a woman who has lived fully and gleaned every lesson life has to offer. She’s Still There is a joy to read and an inspiration for any woman who is ready to break out of a rut and step fully into the abundant life for which she was created. 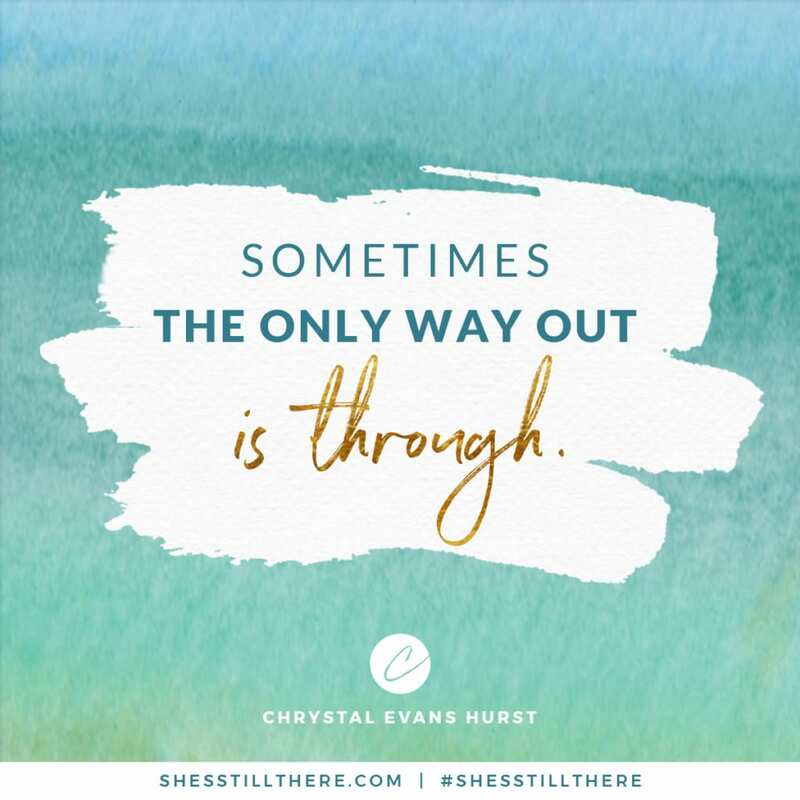 If you’re stuck in a life you never imagined and fear you’ve lost the best parts of yourself along the way, you’re not alone. I’ve been there, more than once. It’s crushing, painful. 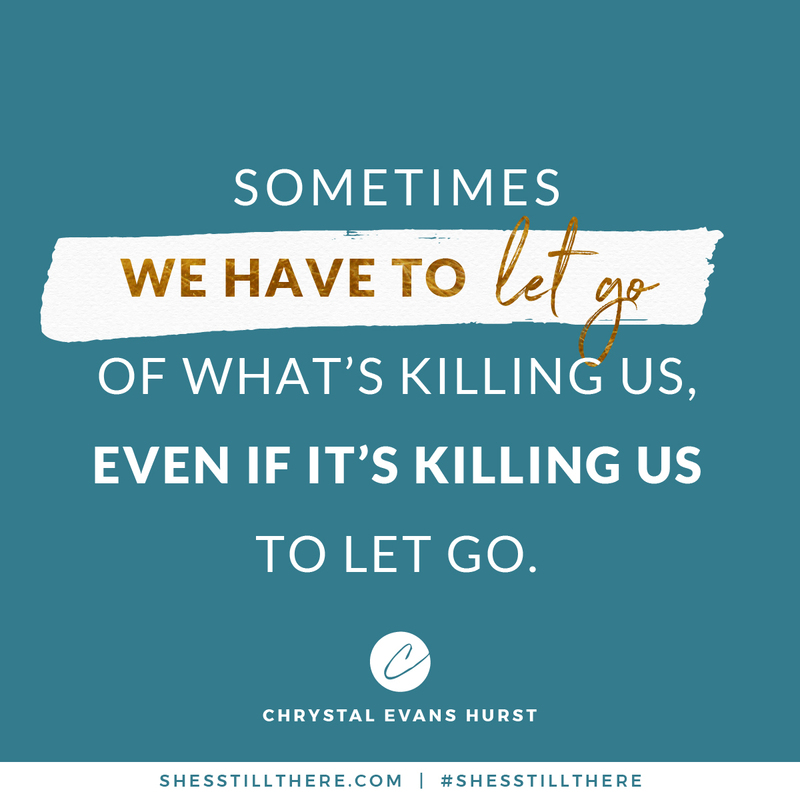 But here’s the good news: you’re holding the right lifeline your hands. 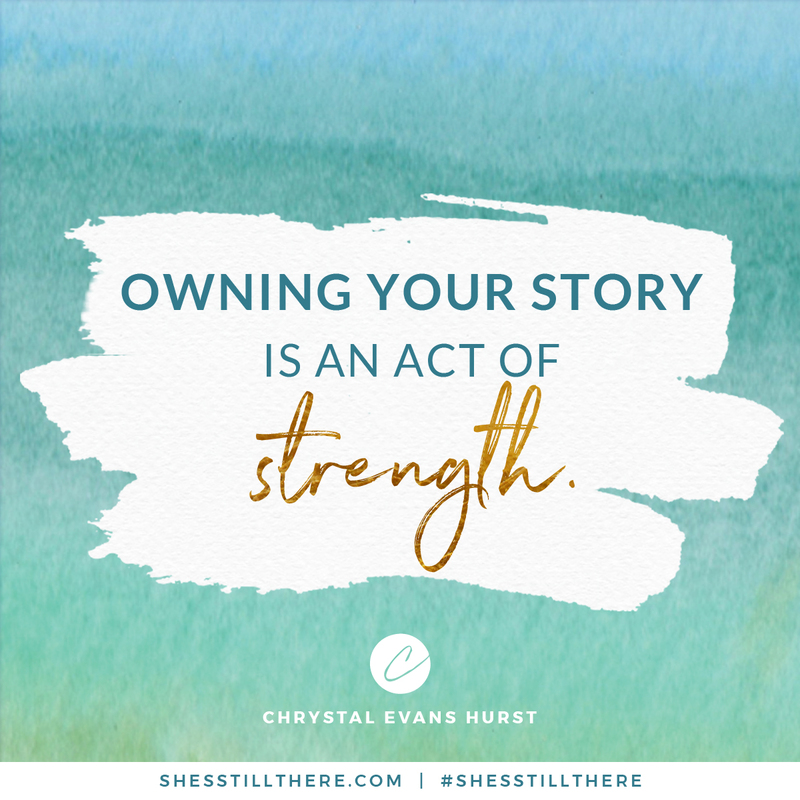 Through the rich pages of She’s Still There, Chrystal Hurst offers honest revelation, warm companionship, and hope-filled truth to help you rediscover the best parts of your life—and yourself. What I love about She’s Still There? 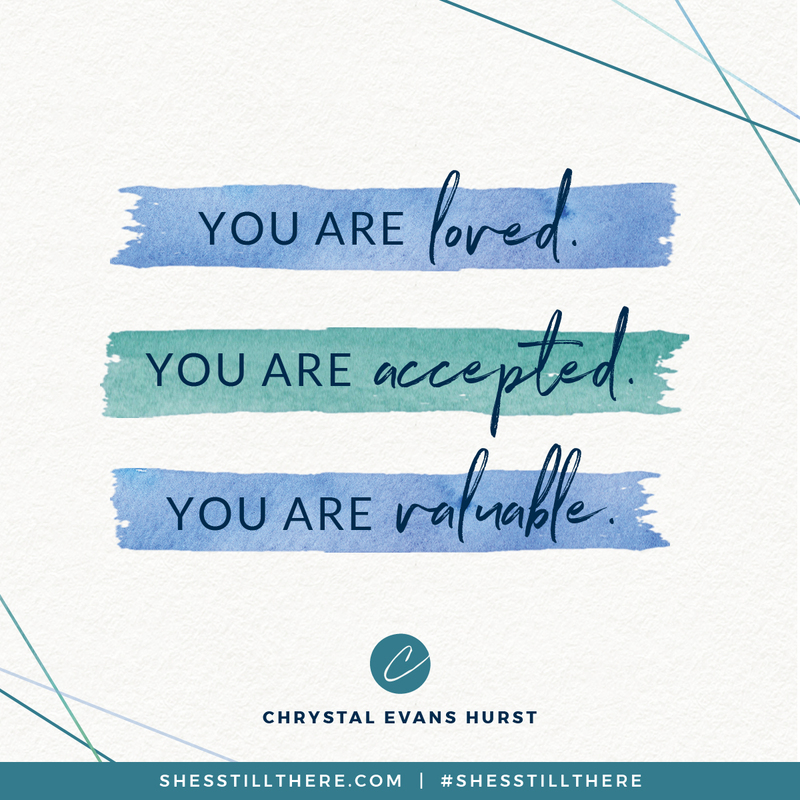 Chrystal tells the truth, holding nothing back. She’s honest about her struggles and compassionate about ours. Her wisdom is hard earned and generously shared, and her suggestions are both practical and purposeful. Her wry humor comes through, but so does her heart for God. 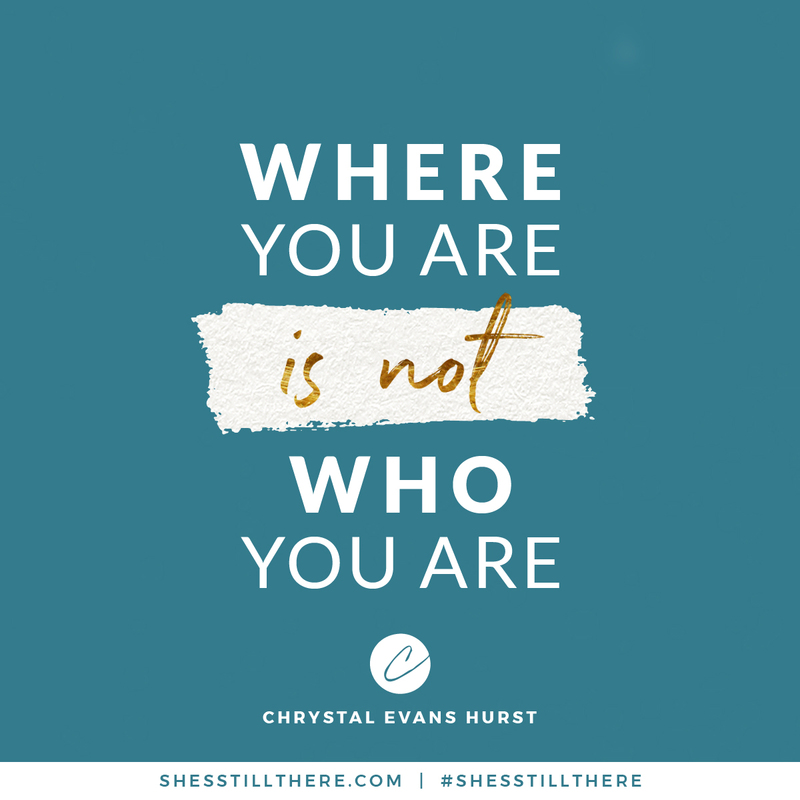 Chrystal writes from a place of passion and conviction, and so gives her sisters a beautiful gift: freedom. Open it, my friend. You won’t be disappointed! 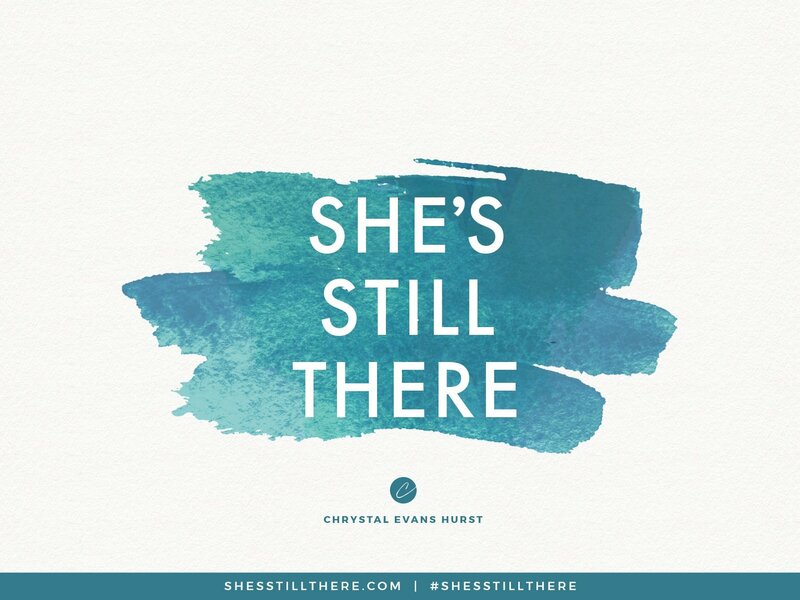 She’s Still There playlist to give you soundtracks to your everyday life. 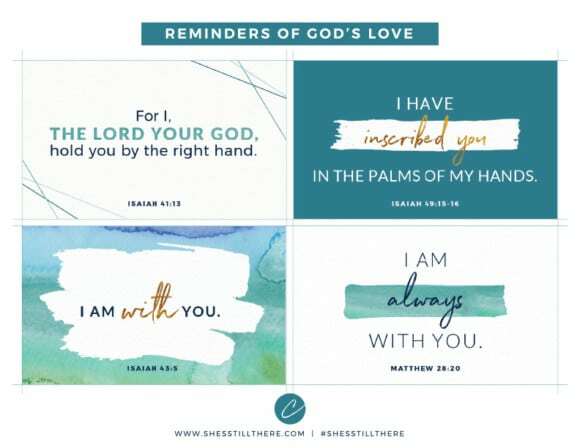 Enjoy these reminders around the home, on your phone, or on your computer.